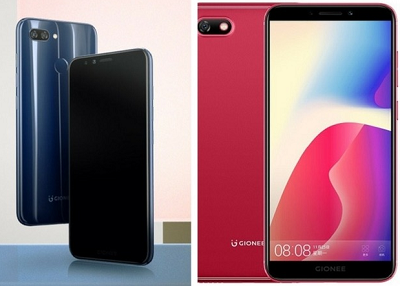 Gionee has finally unveil its first two set of smartphones for 2018. The two new phones, called Gionee S11 Lite and F205, highlight FullView 18:9 displays, impressive selfie cameras and fall in the budget to mid-range price segments. The Gionee F205 is an entry-level smartphone that also has a FullView display. Its screen is 5.45” and has a 1440 x 720 resolution and under its metal body is 2GB of RAM, 16GB of built-in storage and a MT6739 processor. The phone has an 8MP rear camera and a 5MP selfie camera. It doesn’t have a fingerprint scanner but it has Face Unlock. There is also a 2670mAh battery for juice and a dedicated microSD card slot. It runs Android 7.1.1 Nougat and has features like Private Space 2.0, support for up to 3 Whatsapp accounts, app lock, and app clone. The Gionee S11 Lite is similar to the Gionee F6. It has the same curved and reflective rear design as the other S11 siblings but with less-powerful specs. Gionee S11 Lite also runs Android 7.1.1-based Amigo OS 5.0.13S. The handset sports a 5.7-inch HD+ (720×1440 pixels) display with an 18:9 aspect ratio and is powered by a 1.4 GHz octa-core Qualcomm Snapdragon 435 SoC, paired with 4GB of RAM. Camera wise, the Gionee S11 Lite sports a dual rear camera setup with a 13-megapixel primary sensor and a 2-megapixel secondary sensor. At the front, is a 16-megapixel selfie shooter and it comes with Bokeh effect. Also, the smartphone comes with 32GB of inbuilt storage, expandable via microSD card (up to 256GB). It has a 3030mAh battery, a rear-mounted fingerprint scanner, and support for Face Unlock. These phones should have come with Oreo, this is 2018 some1 should remind Gionee. Prof, why is Gionee phones are overpriced in Nigeria??? S11 is the real deal but more battery juice is needed. As for F205 it’s is over priced. Leagoo Kiicaa is far way better. both of them lack excitement. but either way, any buyer of either would get value for money spent. No joy in this two phones. 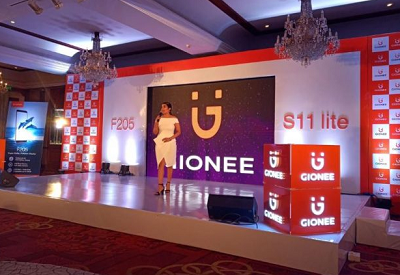 Gionee should sit up. Expecting Boom devices from them not this. Nothing new here no innovation I guess geonee are in real crisis…. just my opinion though. Thought they had gone into extinction market wise. Good to know they are still very much in the picture. The S11 lite is fairly okay.